You might find that your new dentures feel a bit awkward for several weeks after you first get them. For example, they may feel a bit loose while the muscles of your cheek and tongue learn to keep your new dentures in place. In addition, you may experience minor irritation or soreness, and a temporary increase in saliva flow. These problems will gradually fade away as you become accustomed to your dentures, but there’s no denying it will be a little uncomfortable for a time. Eating with your new dentures is going to take some practice. Start with soft foods cut into small pieces. Chew carefully and slowly, using both sides of your mouth at the same time in order to prevent your dentures from tipping. Once you’ve mastered soft foods, slowly add other foods back into your diet until you return to you return to normal. Remind yourself to continue chewing food using both sides of the mouth at the same time, and be careful when eating hot or hard foods, as well as sharp-edged bones or shells. You're also going to find that talking will require a bit of practice. Read out loud to yourself and be sure to repeat words that you have particular difficulty with. If notice that your dentures "click" while you're talking, speak more slowly. Another problem you might encounter at first is that your dentures occasionally slip when you laugh, cough or smile. The best way to reposition your dentures is by gently biting down and swallowing. 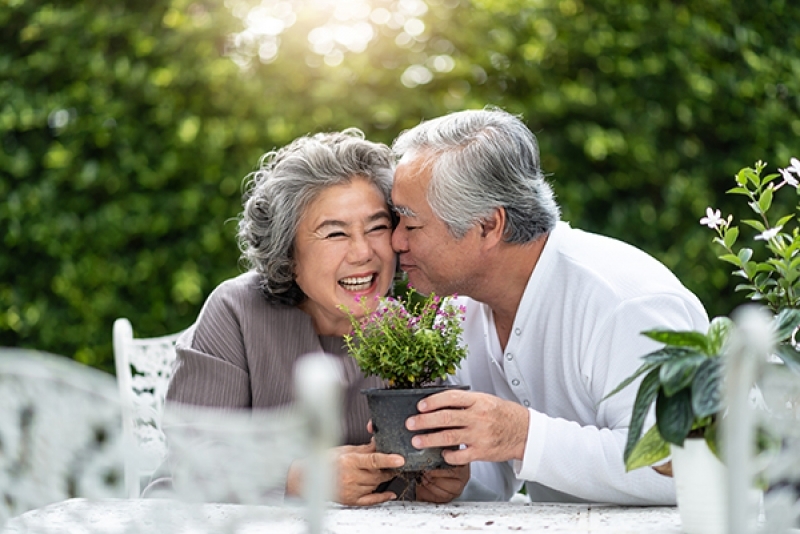 If you continue to experience problems with your dentures after the first several weeks, contact your Surrey dentists at Guildford Smiles Dentistry for a consultation.